Lawsuits, Charges, and Tweets, Oh My! Position: The Williamson County Commissioner develops the county budget and allocates tax dollars to the county’s law enforcement, deputy sheriff’s office, jails, roads, bridges, public health services, animal shelters, and transportation. In developing a cohesive plan for public infrastructure, county commissioners work with with other counties as well. 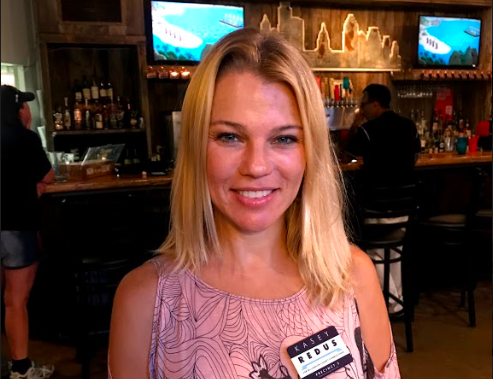 Candidates: Williamson County Commissioner for Precinct 2 Cynthia Long has already served three four-year terms and is running for her fourth against small business owner and Democrat Kasey Redus. Y’all’ve been here too long! Challenger Kasey complains that many WIlliamson County politicians have been in the position far too long, grown complacent, and are no longer held to account because of lack of a viable challenger. “The Judge has been there 20 years, my opponent has been there 12, precinct 3 has been there 16 and that’s not how government should be. I want to change that attitude.” Ms. Redus says that many commissioners now, “budget through their own desires like developers, big engineering firms, instead of listening to public safety departments” If Kasey is elected, she commits herself to only serving a maximum of two terms. Kasey wants to invest in public safety and emergency healthcare. In her extensive hours riding with the mobile outreach team, Kasey found that these workers were filling in the gap in healthcare in Williamson County. County services have struggled in recent years, according to Redus, to keep up with the rapid increase in demand for services in one of the fasted growing counties in the nation. According to Ms. Redus, Leander needs another ambulance. The city serves a current population of 60,000 with only a single ambulance and often diverts emergency service resources from neighboring cities such as Round Rock and Cedar Park. The commissioners court in Williamson County recently decided to take out the night shift for the mobile outreach team which provides critical emergency services for mental health issues. This had led to less access to mental health resources as the population needs more of these services, per Redus’ account. Kasey Redus has lived in Cedar Park for seven years. She owns and operates a pre-school with around 200 students and 40 staff. This, she claims, gives her the experience and expertise to manage budgets and balance conflicting interests. This candidate plans to focus on higher compensation for county employees, reduce the debt ratio per capita, increase transparency, and enhance diversity. In fact, in August, county attorney Dee Hobbs sued the Commissioners Court, claiming its policy on setting salary limits for employees prevents him from hiring or keeping qualified employees. Her opponent raises concerns about the potential for these moves to negatively impact economic growth. While The Megaphone was unable to speak with Cynthia Long, her website details her aims to keep the tax rate low, create more jobs, and invest further in law enforcement to keep Williamson County hard on crime. Redus is concerned about the potential disproportionate impact of increased toughness on crime on racial and ethnic minorities in Williamson County. Lawsuits, Charges, and Tweets! Oh my! The current County Judge Dan Gattis was charged in July with official oppression after the chief deputy reported that the judge threatened to “zero out” the budget of Sheriff Robert Chody if he continued to tweet about county issues. Redus wants to get into the Court and change the culture that she claims gives rise to noncompetitive bids, discrimination in employment, and use of threats to the budget to exercise power. Incumbent Cynthia Long won the election for this position. Precinct 2 covers North Austin, most of Cedar Park, most of Leander, and Liberty Hill.